Add art, style and inspiration to any space. 5"x7" prints keep motivation within reach. 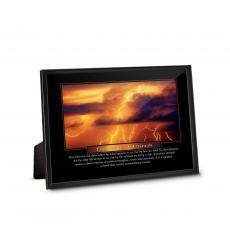 Each 5"x7" piece comes ready to display on any desk or shelf to motivate and inspire your recipients' spaces. Choose from 4 Stunning finishes: Glass, Acrylic, Wood, and Metal. Acrylic Prisms: Your design is high-def digitally printed on photographic paper and mounted to 1" thick, flame edged polished acrylic, creating a prismatic quality and unique modern visual statement. Like a light-filled atrium, the Acrylic Prism immerses your art with a unique quality that appears to radiate light through your image. 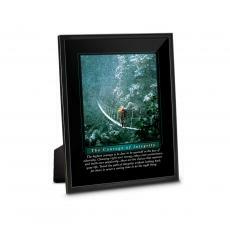 A full, 1-inch thick block of museum-quality acrylic adds depth and vibrancy of your vivid art print. Spectrum Metal: Make a statement with the art by directly HD printing onto high-quality aluminum. It amplifies & radiates any message. Includes a modern wood stand. 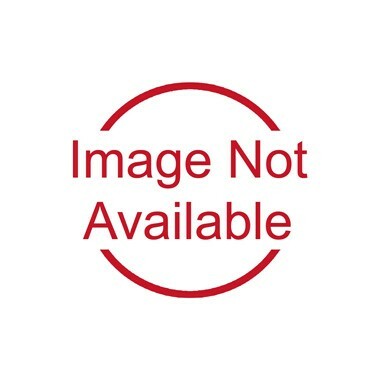 A lustrous layer of metal amplifies image sharpness and brightness. Your image takes on modern urban feel when its directly printed onto high-quality aluminum that arrives ready to display with a modern wood stand on desks and shelfs. 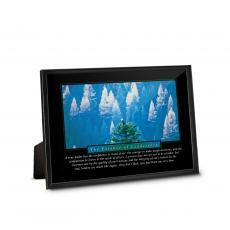 Picturesque Glass: Crystal clear glass creates a faceted focal point for the inspirational art of your choice. Displays beautifully on any desk or shelf with its modern wood stand. Sleek and modern with rounded edges, the beauty of glass is that it goes anywhere, anytime, anyplace. 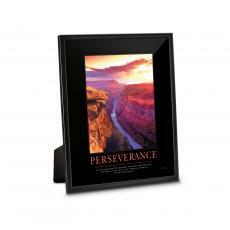 Sit it on any desk or shelf to turn any space into an inspirational gallery. Recipients will love it so much, they will wish it was part of their home decor. Wood Mounted: Make your art pop with this high-gloss finish and accented with sleek black edges. Thin & light-weight, this is a cost effective gift with no loss of style. Great options for any workstation, desk or shelf with wooden backing with built-in easel. Simple & safe construction, makes it ideal for busy areas. Made with durable high-gloss hardboard. 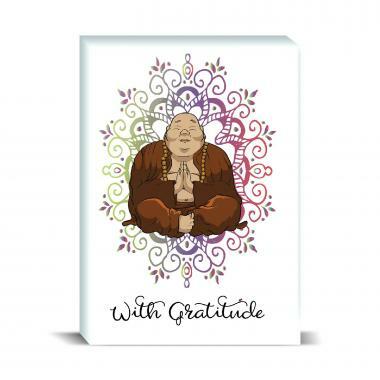 We're currently collecting product reviews for Budi Gratitude Desktop Print. In the meantime, here are some reviews from our past customers sharing their overall shopping experience.